Wouldn't it be wonderful if you could read your clients' minds? IDX Broker gives you access to insider information created by registered visitors as well as analytic tools to track your page traffic. It’s not only easier for visitors to log in with Facebook or Google, it’s also easy for you to capture higher quality leads. Your leads can sign up for property updates and save searches with the social accounts they already use every day. Since most visitors only have one social profile on each network, the lead data is more authentic. 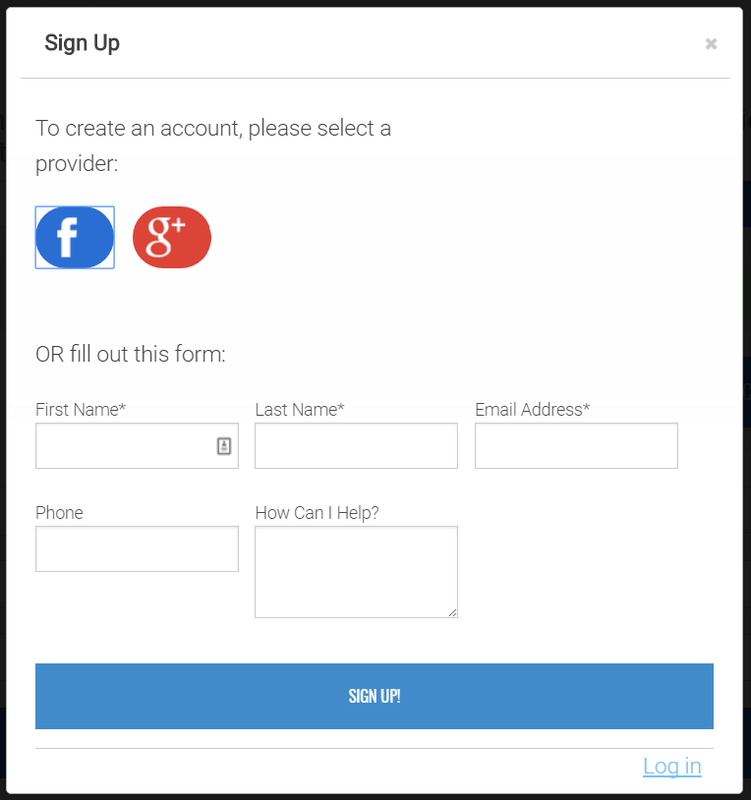 You can enable social media logins straight from your Platinum IDX dashboard. Give leads a place to call home with IDX Broker Platinum’s My Listings Manager. Through this built-in lead interface, your site visitors can save and review searches and preferred listings. Plus, they will receive email updates when new listings hit the market or when there is a change to a saved property. The enhanced dashboard provides your leads with a modern, streamlined user-experience. Slick mobile responsive designs allow your clients to manage all their favorite properties and saved listings while on the go. 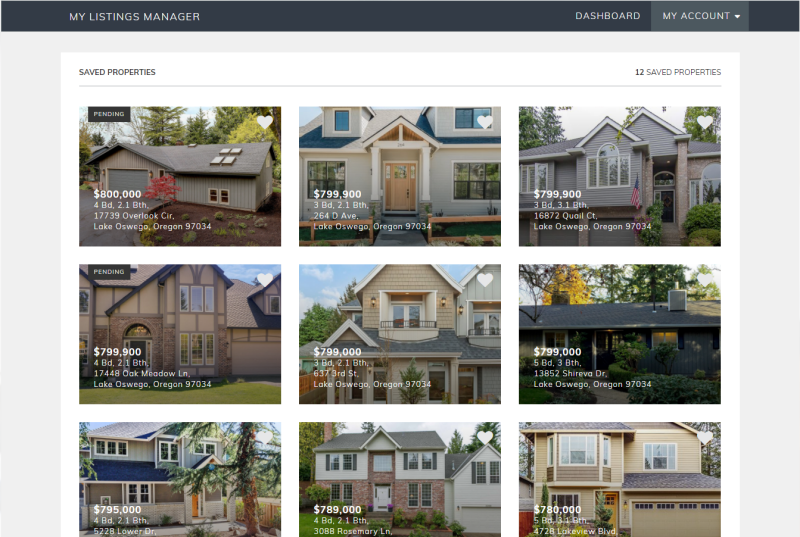 My Listings Manager is the easiest way to gain insight into clients’ needs. By creating a more personal home search experience, your leads will keep coming back. You have two options when tracking and analyzing lead activity on your site. 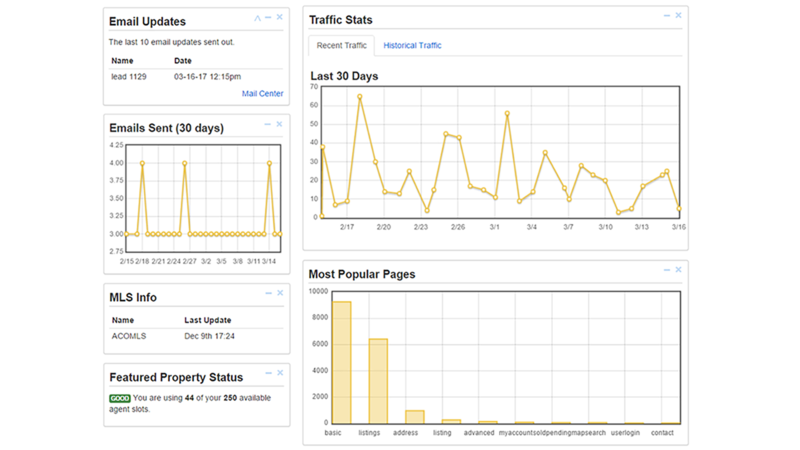 You can review your Web Traffic from your Platinum dashboard, implement Google Analytics (or other 3rd party analytics code) and create custom segments based on URL Viewed, or Path Taken. View segment entry and exit points to understand what motivates your visitors. See how often a registered visitor comes back to your IDX pages as well as their activity throughout your IDX Pages, and Listings. At IDX Broker, we want you to get the best leads possible. 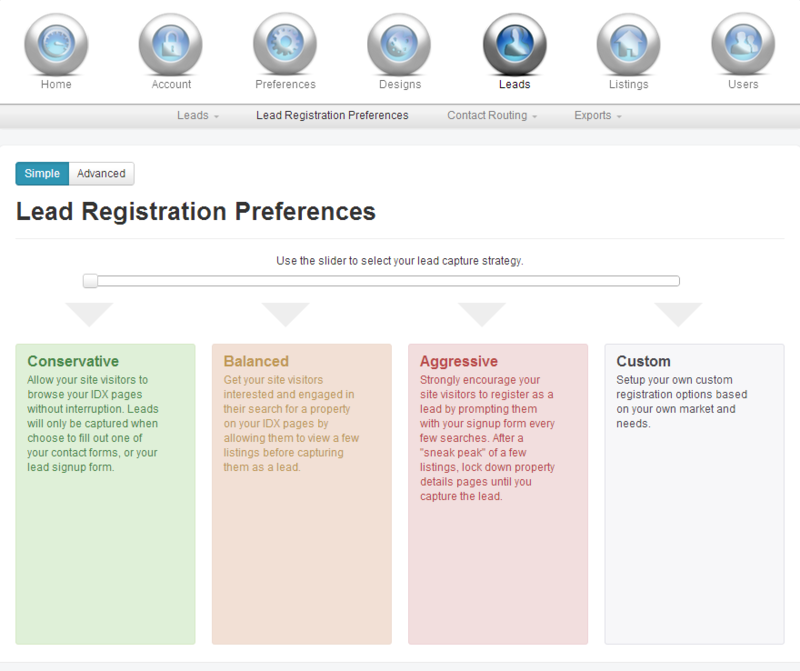 With Platinum's Lead Registration Wizard system, you choose the style that works best for you. You can even add or modify the criteria included in all of your signup forms and create a database of leads from your IDX control panel. This system provides the gateway for developing amicable and informative relationships with customers.